Kiko Milano introduces Gossamer Emotion Creamy Lipstick available in bold colours with a shiny finish. The formula contains orchid extracts and hyaluronic filling spheres.The smooth, supple texture combined with the intense, bright colours create a sensuous smile. The lipstick glides on easily, leaving the lips silky soft. Gossamer Emotion Creamy Lipstick comes in a new, modern tube with a metallic finish. This lipstick's distinguishing characteristic is the unique button at the top of the cap. 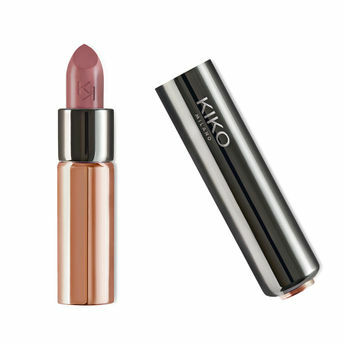 Alternatively, you can also find many more products from the Kiko Milano Gossamer Emotion Creamy Lipstick range.